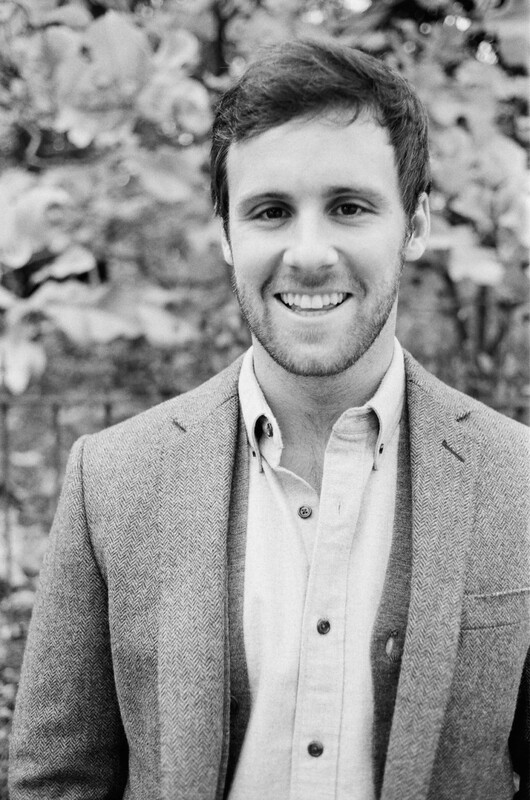 Patrick is the Co-Founder and CEO of Nisolo, a Nashville-based brand that creates well designed, ethically sourced products that positively impact both consumers and producers. While working in microfinance in Trujillo, Peru, Patrick met a group of shoemakers who possessed remarkable talent yet lacked access to consistent work, capital, and established markets. 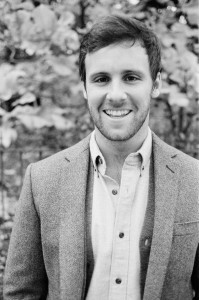 Having had extensive exposure to such potential – juxtaposed with a lack of access in other developing countries – Patrick created Nisolo with the vision to deliver an excellent product to consumers while at the same time maintaining the wellbeing of producers at the forefront of the brand’s philosophy. I envisioned the impact that a revitalized shoe industry could have in Trujillo and the impact that could occur in other parts of the world if I started a lifestyle brand that committed first and foremost to ethical production and the wellbeing of its producers. The idea for Nisolo was born in 2011 shortly after I took a development job in microfinance in Trujillo, Peru. After meeting remarkably talented shoemakers in the city, I learned that they shared common barriers to growth with micro-entrepreneurs that I had met in other parts of the developing world. In this case, the shoemakers’ greatest barrier to finding consistent work and a livable wage was gaining access to the global market where they could sell their goods. Learning that the struggling leather and footwear industry in Northern Peru partially employed over 100,000 people, I envisioned the impact that a revitalized shoe industry could have in Trujillo and the impact that could occur in other parts of the world if I started a lifestyle brand that committed first and foremost to ethical production and the wellbeing of its producers. All this, of course, while delivering an excellent product with superior design and quality at its core. This is what we’ve created with Nisolo, and we’re eager to continue encouraging consumers and the industry to move in more of a producer-leaning direction for tomorrow. How did people first respond to the business plan that involved social impact as a key part of its model? I started the business on the heels of TOMS’ peak in 2011, so from a customer perspective, consumers seemed to understand the idea of an impact model integrated into a for profit venture. From a resource, talent and personal network perspective, we were able to gain a lot of early traction because everyone wanted to do what they could to get Nisolo up and off the ground. They were fascinated by the social impact and were willing to bend over backwards to help us reach scale–we still see a ton of benefits to that today as well. In addition to all of the benefits, we have seen two primary downsides to having social impact at our core. One is on the branding side of the business and the other is on the investment front. In both scenarios, having a social impact creates an unfair hurdle and stereotype that must be moved past. Progress has certainly been made, but the world still has not fully embraced that you can deliver an excellent product, have an excellent business (including margins), and produce in an ethical manner. From a branding perspective, we had to pivot pretty hard a few years ago toward fashion/product orientation first and impact second (or 3rd or 4th) in our marketing simply because the quality of our product and superior craftsmanship of our handmade leather shoes and accessories was being overshadowed by our impact. For sophisticated customers, peers in our space, and wholesalers for example, we were being somewhat stereotyped as “just another cause brand” rather than a brand that was serious about bringing superior products to consumers while also having a positive impact on the producers and supply chain behind our goods. The same was true for investors early on as well. How did you go on to build your brand? One of the greatest lessons I’ve learned so far is how incredibly willing people are to help you out if you have an impact focused business that they can get excited about. The first thing I did in the ideation stage was to create an extensive exec summary and send it out to around 100 peers, former professors, mentors, and friends and family to ask for advice. This helped shape the initial plan a fair amount and from there, the following three years have been an insane rush and hustle. I’ve stayed hyper-focused on four things: learning from customers, selling as many shoes as possible to stay afloat, strengthening the efficiency and social impact of our supply chain, and surrounding myself with a team of incredibly talented, passionate, and humble individuals who are gung-ho on taking Nisolo to the moon and having the greatest social impact possible along the way. Usually when I’ve been asked this question, people expect an answer about balancing social impact with profitability or scale. However, we’ve created a team that is first and foremost here for the social impact we can create, and purposefully, we’ve baked our social impact into our business model. We don’t give a percentage of proceeds off the top or do a buy one, give one model; rather, the impact comes in the way our products are sourced and is directed at producers themselves rather than solely altruistic consumers. This way, no matter how many products we develop and sell overtime, our social impact will never be compromised. Just like many quickly growing start ups, two of the greatest challenges we face include getting the right people in the right seat on the bus–to steal from Jim Collins–and learning to say ‘no’ to noise and distraction and ‘yes’ to what really moves the needle externally and internally within the organization. Quite obviously, the social impact that we are creating gets us up and out of bed each morning. That being said, I am also deeply inspired when I am around people who are passionate about what they are doing and are willing to give a task, a project, or even a dream their all. The two places I regularly encounter this inspiration is from my team members at Nisolo, as well as peers in our industry. I enjoy watching my team members work. And, I enjoy keeping up with what is going on with the companies of friends within the social enterprise and fashion spaces because nothing is more inspiring than seeing other entrepreneurs–who face many of the same struggles and who identify with your lifestyle–find “success” in one way or another. How do you view your customer’s role in the work you are doing? Nisolo means not alone for a reason. Our customers are the ones who will build our brand in the long run. Our team could be made up of 10 or even 100s of the smartest people in the world, but at the end of the day, it is the way that our fan base supports us (and brands like us) and shares our stories in the long run that will drive real change. As stories of exploitation in the fashion supply chain continue to come to light, what is your reaction? The ethical fashion space needs a success story from a brand that was founded in response to the woes of the industry–a brand our generation can identify with that meets the demands, attention spans, and luxuries of millennials, but that also stands for something great. This is why I get up out of the bed everyday and do what I do. The ethical fashion space needs a success story from a brand that was founded in response to the woes of the industry–a brand our generation can identify with that meets the demands, attention spans, and luxuries of millennials, but that also stands for something great. The more we grow, the more our influence, our DNA and what we stand for grows. Top-down, big-industry examples of this pursuit are sometimes hard to identify with and can come across as more of a marketing scheme or reactionary to consumer demands rather than forging a proactive shift in consumer thought. Our hope is to be proactive–carving out a new path and inspiring other entrepreneurs with impact and social change as their raison d’etre to do the same along the way. What role and responsibility does business have in making a better world? At the end of the day business is what puts food on the table for the vast majority of people around the world; business as a force for good is integral to true change in the world; there is certainly a place for philanthropy and charity, but business must play a massive part in any form of industrial change. Talk about a moment when you saw the impact of the work you’re doing firsthand. The idea for Nisolo came to me in the dirt-floored, metal-roofed home of a Peruvian shoemaker. 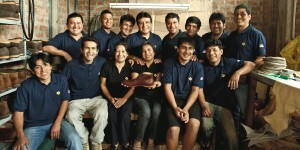 The idea for Nisolo came to me in the dirt-floored, metal-roofed home of a Peruvian shoemaker. Here was a man with all the talent one could ever hope for, yet his talent was juxtaposed with the common barriers to entry of modern day capitalism–lack of access to international markets, capital, education, etc. Nisolo began with people like him in mind. Fast forward a few years, and he is now a manager on our team in Peru. The floors, walls, roof of his house have been replaced and even another floor has been built in his home. His children are in school again, his wife’s small business is steady and growing swiftly, he is becoming more and more of a community leader, he has created a library in his house and is regularly loaning books to neighbors. He is one many people whose life has been impacted–through the work of his own hands–and facilitated by Nisolo. What are you most excited about as you look towards the future? While we do not want to divert focus from growing our current product offering, we do see opportunity to expand into adjacent markets (just as you’ve seen Tori Burch, Joie, Kenneth Cole and countless other brands do in the past) while maintaining brand integrity. Potential considerations include other accessories (jewelry), apparel, etc. Again, while our plan is to stay focused on footwear and leather accessories in the short-term, we do anticipate a medium term expansion into adjacent markets, allowing for new product lines and cross-continental social impact via the Nisolo brand. What advice would you give to someone wanting to start a brand with social transparency at the core? First and foremost, anyone starting a socially transparent brand must deliver in a profound way on product offering. The greatest way a brand can impact the ethical fashion space is to prioritize product just as much as social impact. The space needs success stories, and it needs products that continually demonstrate to consumers that quality goods can be bought at affordable prices and produced and consumed responsibly as well.